Here’s Why a ‘Sales-With-Minimal B2B Marketing’ Approach Will Kill Your Startup, and also, what can you do to escape such a fate? Throughout my career, I have witnessed endless B2B companies neglect marketing strategies and focus on sales. But what motivates these companies to go in such a direction? These companies think that this move would optimize their sales and conversion practices for better results. And in theory, it makes sense. The achievement of goals is easier to measure using outbound sales processes, as sales-driven practices can be a more efficient way to reach your target audience. But in practice, there are a few facts about marketing that many B2B businesses simply aren’t understanding: marketing helps you generates the leads that your sales team ultimately converts. And while this may seem obvious, there’s really a lot more to it. In fact, when it comes to B2B, marketing and sales are inherently connected to one another, and one cannot succeed without the other, I will soon show you how. Today, an average of 12 touches (!!) take place before any inquiry becomes a real, qualified sales opportunity. In fact, whether you agree or not, data shows that 75% of the sales funnel is completed before the lead is even handed over to the sales team. 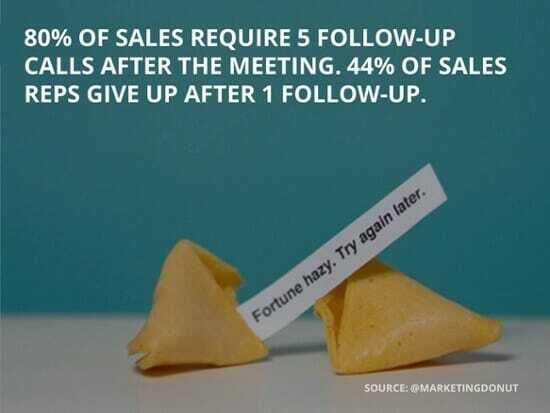 Yet, at the same times, 44% of salespeople give up after just a single follow-up. Finding prospects to be the most challenging part of their job, these sales team members simply will not try and work with what they call ‘unqualified leads’. In all honesty, it’s not really their fault. 55% of the people making their living in sales don’t have the right skills to be successful. While I assume that in high-tech environments the trends are much less dramatic, these challenges are relevant here as well. Many of the organizations that employ sales people are unable or unwilling to provide them with the specific tools and training they need to be successful in what they do. And since 80% of sales require a minimum of five follow-up calls after the initial touchpoint, way too many (quality) leads are being neglected, abandoned and lost. That’s partly why applying a sales-without marketing approach is so detrimental to any B2B business. There are just too many steps before an actual sale can go through that need the knowledge, attention and expertise of a marketing team. Moreover, companies that have a lead nurturing marketing strategy spend 33% less on their sales efforts, while generating 50% more sales than their sales-without-marketing competitors. If you understand the level of trust that is needed to complete a sale, this makes perfect sense. But, B2B managers JUST. DON’T. GET. IT. Unfortunately, many (or even most) B2B startup founders that I meet lack a basic understanding of what the industry calls the ‘customer journey’ and its impact on sales. They therefore neglect their marketing (or align minimal efforts to it), and essentially set their sales team up for failure. I have even had some businesses admit that while they “don’t believe in marketing,” their sales teams keep nagging, and so they are willing to give it a try, even if it is just to keep their sales people happy (!!). Well, that’s not an approach that will result in a marketing success, will it? Wait, what does neglecting marketing means? Am I a marketing neglector? By neglecting your marketing, I am referring to not placing strategic, methodic and ongoing efforts into each of the 4 core marketing activities: ensuring your offering is optimally positioned within your market, generating awareness among your target audience, engaging in lead generation optimization activities and nurturing your leads through activities that drive them further along the sales funnel. Ok, guess I am a neglector. What will happen to my company? Let’s examine the potential ramifications of neglecting these 4 core marketing activities. Even more importantly, let’s see how such inaction plays directly into the hands of your competitors, and ultimately leads to your start-up’s failure. Positioning can refer to the position in which your business finds itself with respect to its industry arena and its competitors. 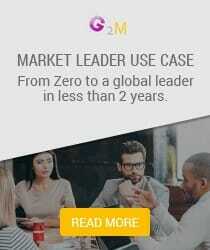 But for B2B marketers, its is also your offerings – your products and services, within the minds of your target audience. This includes your existing and future prospects and customers. Effective positioning makes your target audience want to know more about your products or services. More importantly it keeps you in the mind of your target audience. Serving as the first stage on the road to becoming a sales lead, positioning enables prospects to envision your offering as something they can relate to – and potentially want to acquire. In other words, when you are well positioned in your market, you become a candidate worth exploring in case of a need (or when your sales team outreaches a prospect). Research your brand’s current positioning practices. Lean how your startup is currently positioning itself (if at all) to understand what changes need to be implemented. Study your direct competitors. Lean how they are positioning their offerings. If their efforts are successful, you might want to adopt similar practices, but never let go of what makes your brand unique. Harness the knowledge you’ve acquired to develop a one-of-a-kind positioning strategy that will bring value to your business. Targets the prospect: Who exactly is your brand marketing to? Defines the target market: What market do your products or services fall into? Promises added value: Why is your product or service most beneficial to your target audience, over those belonging to the competition? Ensures promise delivery: Why should your target audience believe your brand’s promise? Run multiple positioning activities (such as thought leadership) and A/B test your brand positioning statement for usability. Does it differentiate your brand? Does it create positive imagery within your target audience’s mind that will drive them to convert? Create adaptable versions of your brand positioning statement for use in other forms of marketing materials. From taglines and press releases to digital marketing and website content, marketing email blasts and more. Imagine the following scenario. You sell marketing automation software. So does your direct competitor, www.automaton.com. But while you have yet to invest a single dime on positioning, Automaton has spent much time and effort crafting a smart brand strategy. Automaton has studied its brand’s position in the market and has honed a brand positioning statement that entices his (and your) target audience to purchase from their brand’s website. This statement is deployed on all of the company’s marketing materials. On the website itself, in marketing email blasts, on online billboards and in any display channels. All of these marketing efforts work together to generate market leader positioning, driving prospects to think about their brand as the ultimate solution, the best fit for their needs and so forth. Your startup, on the other hand, has not yet run any significant positioning activities, through PR or thought leadership or alike. Instead, your company relies on your sales team to drive sales. What do you think are your odds? 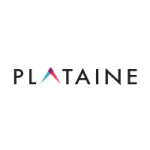 Your company has yet to realize, is that without positioning, your lead nurturing processes leading to an establishment of trust will be much longer. While your competitors are already trusted by the prospects, your company isn’t. It will need to work much harder to gain this trust and it will lose many opportunities along the way. Even leads who intentionally reach out to your sales team will not be surefire sales when you lack positioning in your market. Your team needs help. Major marketing help. Otherwise, your business will likely wind up in the red. Brand awareness is defined as how potential consumers are familiar with your startup, brand, products or services. The more well-known a company is, the more likely its products or service become proprietary eponyms – household names. Awareness breeds familiarity which breeds trust. And, as I mentioned above, trust is a prerequisite for brand-customer relationships, sales and new referrals. Awareness enables brand penetration. This, in turn, secures your startup’s familiarity within the market. Awareness creates distinction. The more prospects know about your brand, the better they will be able to differentiate your offering from that of your competition. Remembrance – companies that have gained awareness will always be the first to be contacted by prospects when the right time comes. But, to achieve this status, much smart and strategic marketing work needs to be invested. Push your messages, content and website main landing pages via organic, direct and paid channels. Don’t expect immediate conversions, keep these activities (even low-level if your budget is limited) for the long run. Remember that you are now after awareness. Ask incoming prospects how they heard about your company and try to see if a positive trend exists. Run SEO activities so your startup’s name is raised when people search Google for relevant terms. I know that some of these mentioned activities look like they belong to other marketing buckets as well (like lead generation), but marketing is an holistic discipline where each activity can serve a couple of goals. Anyway, awareness (and positioning) can be achieved through content marketing. Advances in technology and increased usage of social media facilitate these steps exponentially. Referral (or ambassador) Given the proper incentive, many prospect may be more than happy to spread the word of your offerings to their colleagues. Guest posting on websites and blogs. Deliver high-quality, relevant and memorable content to target readers who are already “owned” by 3rd party outlets and partners and may be interested in your offering. Co-marketing partnerships. Buddy up with relevant organizations to get your brand and concept out there.that’s a great strategy when you need to boost awareness (not only), your budget is limited and you’ve got giant companies as partners. Paid advertising campaigns. Some campaigns are designed in nature to provoke awareness. Like video watches campaigns or display campaigns that are very visual. Even the popular social media networks (yes, LinkedIn too) have learned that they should offer marketers solutions that focus on awareness results. Let’s return to the marketing automation software company storyline. Your startup isn’t investing in awareness, but another one of your competitors, AutoMarket is. AutoMarket is working full steam to ensure any potential lead who searches for fast, efficient marketing solutions is prompted with the brand’s ads on social media and has created multiple blog posts on marketing strategies, you’ve done absolutely nothing of the kind. That’s why, AutoMarket is known by the target audience, while your sales team continues to explain who they are, what they do and how they can help. AutoMarket sales teams don’t need to introduce their offering, they just mention their company name. Again, what are your odds? Lead generation is the process that takes brand generation one step further. Prospects have been presented with marketing materials explaining your offering and have grown increasingly more familiar with the products or services that you offer. 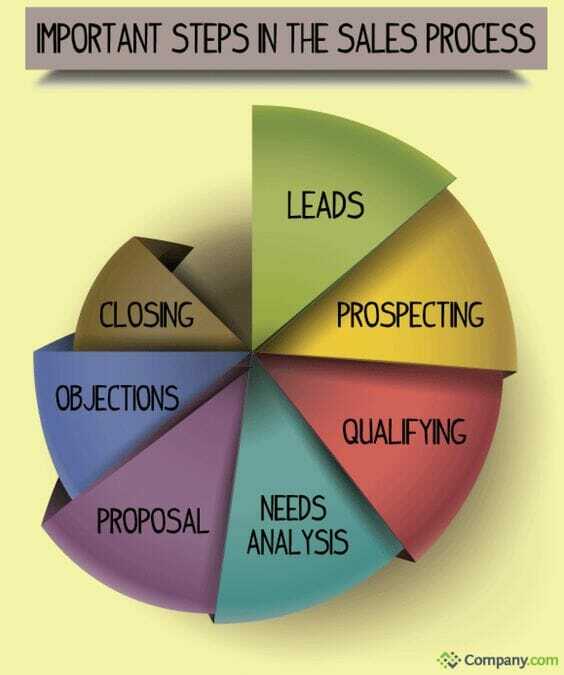 Those prospects who (may or may not be) interested in your offering become leads through the work of lead generation. These are your potential future customers, who you need to target through any online marketing process (including those detailed above), if they are to eventually convert. Or, in other words, lead generation is the process of capturing new leads from among the prospect pool made aware of your brand, through variety of advanced marketing tactics. These potential leads are engaged with via marketing tactics, furthering them along the sales funnel. Create a lead generation operation that is smart, ever happening and considers prospects journey across all your communication channels. What will ensure a successful lead generation operation? First, ensure that your initial brand awareness and positioning is focuses. Analyze user data to determine interest in your offering. Build top quality gated content – This will allow you to capture quality leads at an optimal cost per lead. Build an online funnel – Where prospects get the right info about your offering at the right time and stage, so they will not be overwhelmed and only hear more about your direct offering when the time is right. Involve paid campaigns but be smart about it – we’ve talked about how many touch points are needed before a conversion occurs. Advanced remarketing campaigns can work magic in this case. Why lead generation? What will happen if you neglect lead gen? Returning again to the marketing automation software brand example, your start-up continues to wait for leads to knock on its proverbial door. Another one of your competitors, however, Abie Automatics, is much more eager to reel in any potential leads. Abie Automatics uses the latest in machine learning technology to identify which consumers can be turned into leads and then presents these potential leads with materials meant to pique their interest and have them browse their e-commerce store. As a result, Abie Automatics’ click-through rates have doubled in the past two years and the brand’s conversion rates continue to climb. Your brand, on the other hand, has no real CTR stats, as you’ve yet to present any potential future customers with lead generating materials. How sad. 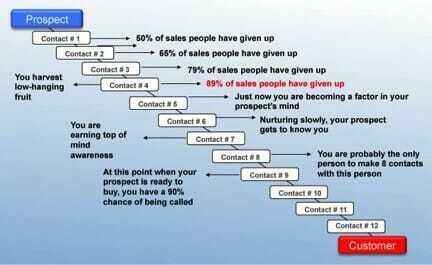 The marketing-to-sales funnel does not stop at lead generation. Did I mention the 12 touch points thing? Hmmmm yes, I did. In fact, while the purpose of lead generation is to capture and create the details of quality and potential customers and drive sales, lead nurturing ensures that the lead generation process continues driving the presale journey until the prospect ultimately makes a decision to purchase. Here, the focus is on further qualifying and developing strong brand-customer relationships with each known lead, taking a more specific approach than that of the broad casting of the lead generation net. When done correctly, these process can result in 47% larger purchases per nurtured customers, as opposed to non-nurtured customers. Segment your target audience according to unique qualifiers. All that market research and analytics you’ve invested in until now is about to really pay off. Use it to create personalized and segmented marketing emails. Start marketing content off with an incentive. Even when it’s about B2B, see if you can Lay the groundwork for purchasing by offering a discount, freebie or other promotional item or service. Continuously analyze lead nurture campaigns results and optimize ongoing and future campaigns accordingly. A/B test email subject lines, included offers and CTAs for effectiveness. Enables the immediate establishment of direct and continuous contact. Response rates decline as the age of a lead increases and 66% of buyers are highly influenced to purchase by consistent and relevant communication. Nurturing campaigns strike while the iron is hot and continue to connect potential customers to the brand at regular intervals. Shortly, it keeps you in their minds. Establishes a loyal brand-customer relationship. The greater the trust, the higher the likelihood of conversion. Teaches the company about unique customer needs. Presenting different content or click-through options sheds a light on what interests or perplexes any given user. This helps optimize segmentation processes and drives engagement. It can also create up and cross-sell opportunities. Shortens the sales cycle dramatically. Prospects who receive help with reaching a decision are generally more satisfied and more likely to make referrals to their colleagues. 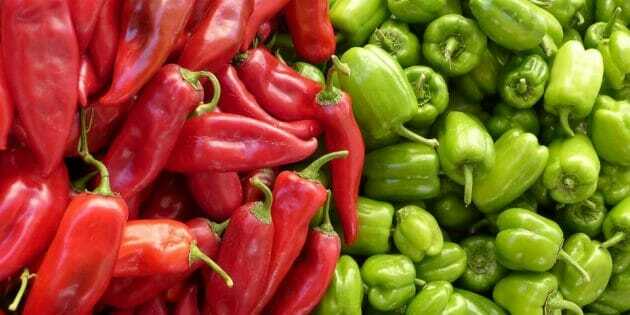 What will happen if you neglect lead-nurturing? Now, while your marketing automation software startup has been sitting around waiting to make sales, your competitor, Market I.T. has been hard at work, creating marketing materials aimed at identifying and reeling in potential leads. And now, while your prospects just don’t get what you do and your differentiators Market I.T. is nurturing leads, training them, educating them and “cooking them” until they convert. And one by one, your competitor’s products are being tried and then deployed, while yours continue to gather proverbial dust, rendering your startup a complete and utter failure. I hope I managed to convince you that a strategic, comprehensive and prominent marketing operation is a vital part of any B2B company’s operation, if it wants to survive and flourish. And though it may be much more than a sales catalyst, sacrificing marketing for a sales-only approach may lead to your start-up’s eventual downfall. If you want your products and services to sell and your brand to succeed in the long-term, you must treat marketing as a core business functionality. You must not settle for adopting only certain marketing elements, like running simple marcom activities, instead of launching full-blown conversion-oriented marketing campaigns.